For a tropical holiday abroad, we might suggest making up a lightweight single-breasted jacket in a pale colour, cut in a tropical-weight, open weave travel cloth or fresco. At the other end of the spectrum, thornproof tweeds, naturally water-resistant overcoatings, warming woollen flannels and high-twist worsteds can all be brought to bear on the winds and rains of even the harshest of winters. I’m a huge fan of Harris Tweed and wanted my next jacket to be something special and unique to me. The finished garment surpassed my wildest dreams – I have a huge smile every time I pull it out of the wardrobe. WHY GET YOUR TAILORED JACKET FROM US? 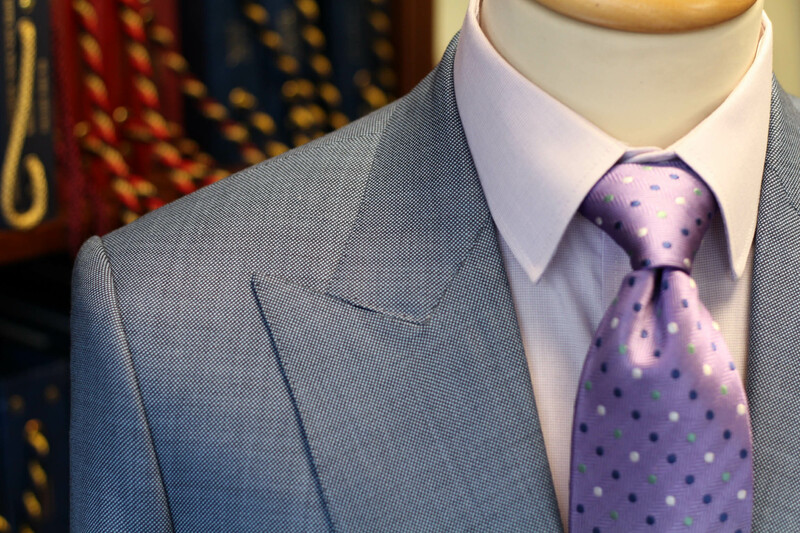 Our bespoke jackets take a minimum of 50 hours (8-10 weeks) to complete. If you have a specific deadline in mind, please get in touch.